Nissan has kitted out a traditional Japanese guesthouse with self-driving slippers that automatically return to a designated spot after use. Guests arriving at the guesthouse in Hakone, southwest of Tokyo, are greeted with a pair of slippers to wear. Once removed these slippers can "park" themselves back at the entrance at the push of a button. The self-driving technology functions in a similar way to Nissan's battery-powered electric vehicle, the Nissan Leaf – which won Best of Innovation at this year's Consumer Electronics Show. 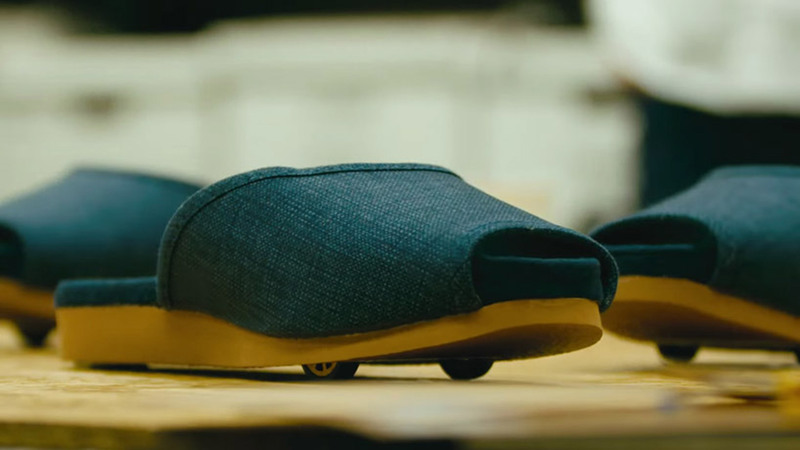 Each slipper is equipped with two tiny wheels, a motor and sensors, allowing them to drive autonomously across the wooden floor of the guesthouse. Using sensors they can locate and park themselves in designated space. Part of a marketing campaign to raise awareness of automated driving technologies, the stunt applies Nissan's autonomous parking technology to everyday objects. "The self-parking slippers are meant to raise awareness of automated driving technologies — and their potential, nondriving applications," said Nissan spokesman Nick Maxfield. Other self-driving items that are included in the guesthouse include floor cushions and traditional low tables. Nissan will invite selected guests to experience the technology, when the guesthouse opens in March 2018. Many of the world's top auto brands are developing self-driving technology, including Tesla, which has created the first mass-market electric vehicle. Nissan has also developed technology that allows vehicles to read the brain activity of drivers, and initiate movement in response. The company also plan to market a car that can drive itself on city streets by 2020.